This hamburger franchise sits at the intersection of two major Simi Valley roads just off the 118 freeway. It was newly built from a vanilla shell in 2001 inside a shopping center with plentiful parking. The ordering counter and grill line is bathed in stainless steel. The 1905 square-foot space holds 52 seats inside. Right now two tables sit outside, but the landlord allows up to four tables with 16 chairs. Two full-time employees and 10 part-timers help bring in $29,000 per month in sales which nets the owner about $5,500 per month after his 7% payment to the franchiser. The low rent is only $3,426/mo (about $1.80/sq. ft.) plus $701 NNN which includes water, trash, sewage, A/C maintenance and normal property repairs. The current owner negotiated this incredible deal: the rent will not increase more than 3% every 24 months (that�s much lower than the rate of inflation!). The lease expires in 2010, but there are three 5-year options attached under similar terms. Options negotiable with the landlord. 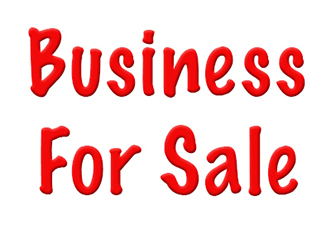 The price for this business is $155,000 with the franchise, but the new owners must be approved by the franchiser. You can run your own hamburger joint in this well maintained, shiny, fun spot for the price of $105,000. Submit the online confidentiality agreement in order to receive this restaurant's name and address. Completing the confidentiality form also entitles you to view additional photos and receive advance notice of new listings in your area so you can digest all the hottest bites first.This is a a Paramount Restaurant Brokers, Inc. listing.